US inflation came in ahead of expectations on Wednesday, with the headline rate of 2.1% and a core figure, which excludes energy and food, at 1.8%. Both were stronger than forecast. Wall Street took the news badly, though not not to such an extent as stock futures suggested. 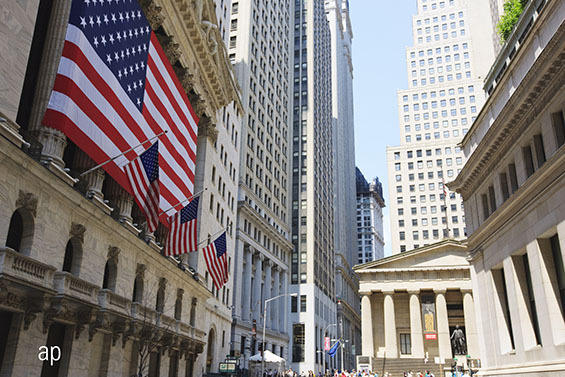 The three main US indices opened around 0.45% lower. Both US Treasury yields and the US dollar climbed higher. The data will likely worry investors once again, with another round of selling possible, according to Luke Bartholomew, investment strategist at Aberdeen Standard Life Investments. If it wasn't before, an interest rate rise in March is now a certainty. Sustained higher inflation has been widely expected for a while, though opinion has been split on the pace of the increase. Jon Jonsson, co-manager of the Neuberger Berman Global Bond Absolute Return Fund, thinks US headline CPI will move towards 2.5% by the end of 2018. Investors have spent the past couple of months planning for higher numbers, with inflation-linked exchange traded funds (ETFs) seeing a sharp rise in net inflows. In December and January, European investors pumped €1 billion into inflation-linked ETFs through December and January, according to Morningstar Direct data. Last month’s €585 million of net inflows was the highest since February 2017. The cash was mostly pumped into ETFs offering exposure to US inflation-linked government bonds, or Treasury Inflation-Protected Securities (TIPS). This suggests investors expect a sustained rise in CPI across the pond and are looking for protection. TIPS pay holders interest semi-annually at a fixed rate – generally lower than that on normal US Treasuries – and see their face values rise, or fall, along with CPI. Backed by the US government, they are seen as a low-risk investment. Jonsson says if his views on inflation were to play out, the yield curve would come under steepening pressure given the low inflation expectations priced into the market. As a result, he thinks TIPS currently look attractive and expects to add to his fund’s position on any weakness. The Morningstar Silver Rated iShares $ TIPS ETF (ITPS) was the most popular, with €455 million of net inflows. Analyst Jose Garcia-Zarate describes TIPS as “a classic buy and hold strategy for US-centric portfolios”, noting that the strategy “works well in passive form”. The iShares product tracks the Barclays US Government Inflation-Linked Bond Index. Zarate says this index comprehensively captures the available opportunity set of what is a small and liquid market. “The fund has mid-to-high duration and so we would expect it to lag a bit at times of rising interest rates but outperform more clearly when the cycle turns,” continues Zarate. One worry would be the elevated levels of securities lending in the ETF, which Zarate notes helps lower the annual cost of holding the fund. But he says that iShares securities-lending programme is “well managed and tightly controlled for counterparty risk”. Other popular funds in this sector include the SPDR Bloomberg Barclays US TIPS ETF (TIPS), which took in €131 million in flows. Also popular were UBS ETF Bloomberg Barclays TIPS 1-10 (UBTS), €62 million; Lyxor US TIPS (DR) ETF (TIPU), €53 million; and x-Trackers II Global Inflation-Linked Bond ETF (XGIG), €52 million.